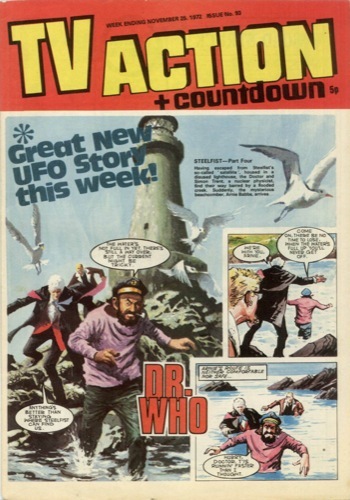 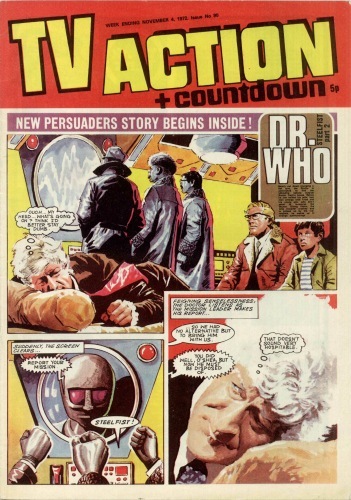 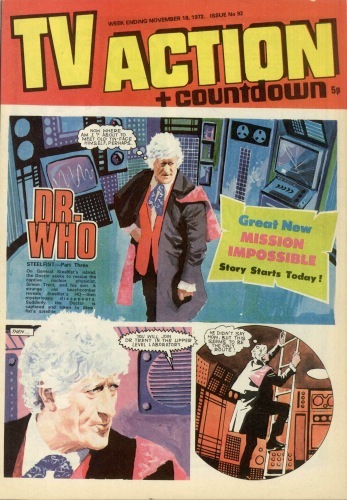 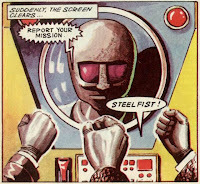 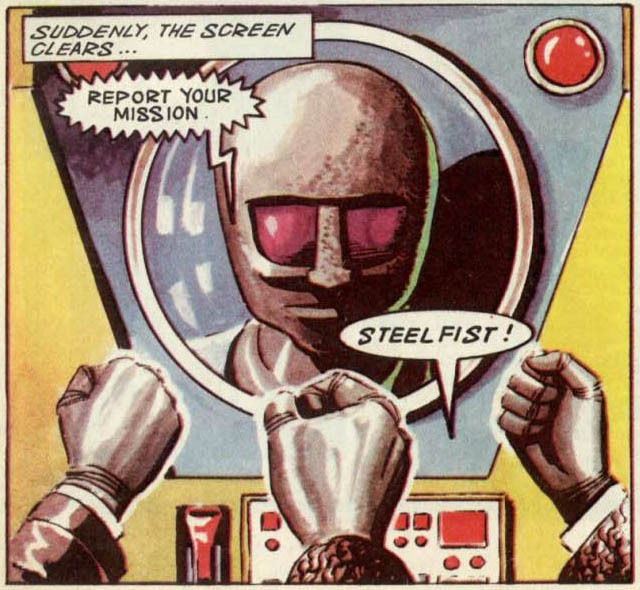 Exactly forty years ago this month, TV Action + Countdown comic had The Doctor concluding his battle against the mysterious Steel Fist. 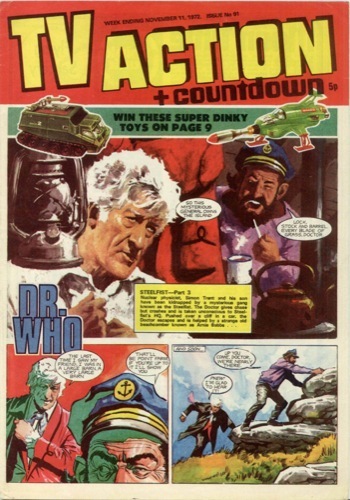 Strangely, the villain of the piece bear an uncanny resemblance to an Ice Warrior, last seen earlier that year in The Curse Of Peladon. 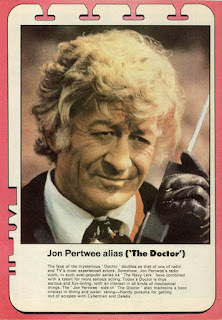 The back cover of issue 93 has a profile of Jon Pertwee, alias The Doctor. It’s interesting to see his character name listed correctly for once, as he was continually misbilled as Doctor Who.